Professional quality and top performance are the hallmarks of the Gastronorm ProfiLine refrigerators. High quality refrigeration components combined with a forced-air system with twin fans guarantee even temperature distribution throughout the interior.he temperature can be set in a range of +1 °C to +15 °C in an ambient temperature of up to +43 °C. These appliances meet professional storage requirements with large capacity and easily variable shelf positions. 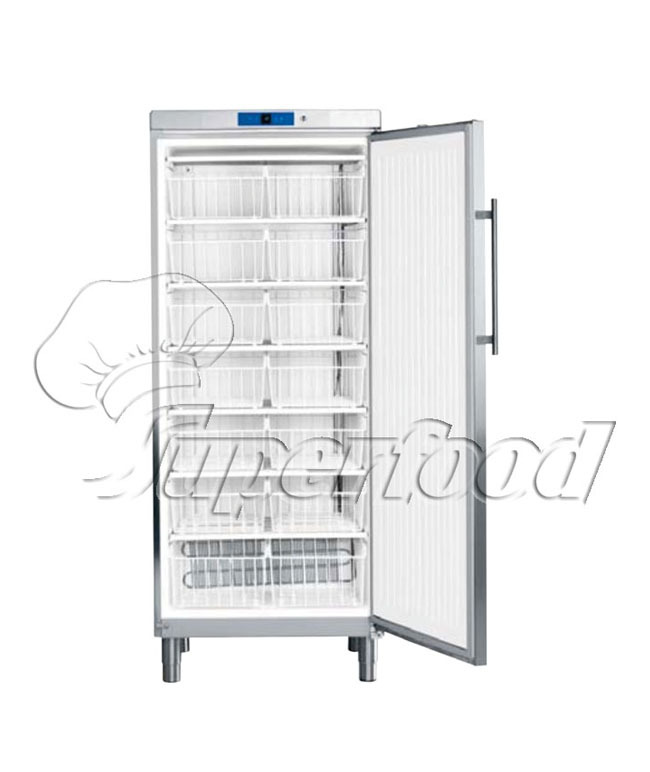 These forced-air Gastronorm refrigerators are the perfect solution for economical, large-capacity storage requirements. The GN 2/1 shelves are easily heightadjustable, permitting full use of the interior. The temperature can be set precisely from +1 °C to +15 °C. They conform to the food and hygiene regulations applicable to catering and commercial applications. These appliances use very little electricity and are highly economical to run. For powerful cooling in a compact format - the new FKUv series. These models have an integrated worktop and can be sited either under tabling or freestanding. The FKUv range has forced-air cooling for uniform temperature distribution and rapid pull-down. A host of other valuable features offer major advantages for the user. Static FKU models complete the range: these can accomodate a 50 L beer keg. These forced-air Gastronorm refrigerators are the perfect solution for economical, large-capacity storage requirements. The GN 2/1 shelves are easily heightadjustable, permitting full use of the interior. The temperature can be set precisely from +1 °C to +15 °C.